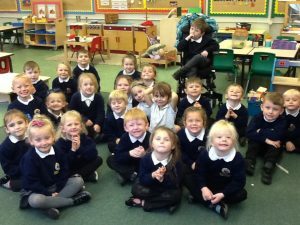 Reception Class is a happ y, exciting place to be! We work as a team and help each other. We learn through sharing stories and number rhymes, messy play, interactive areas such as small world and we do lots of outdoor learning.